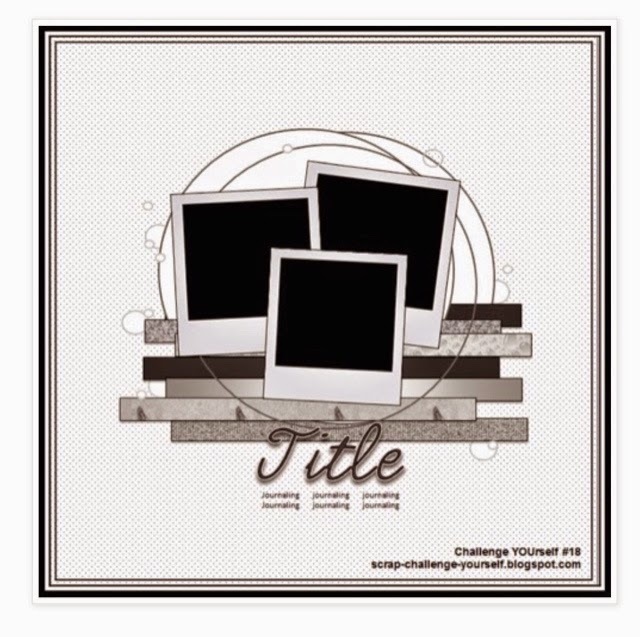 Welcome to Challenge YOUrself's May Challenge. This month we have a sketch challenge for you. I chose three photos from mine & Gemma's weekend away in Milton Keynes last year which I had already trimmed down to scrap at Meadow Barn. 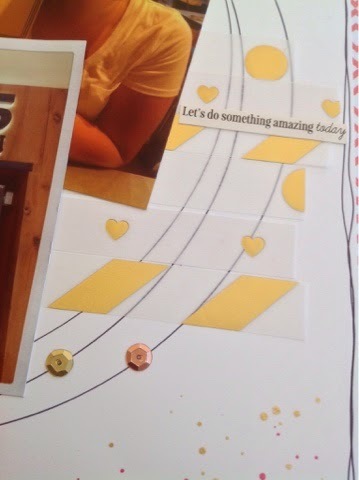 Continuing my mission to stop stroking my stash and actually use it, I pulled out my yummy Stampin Up gold vellum. I outlined my card to make it pop from the My Minds Eye paper. I didn't want to over embellish my layout too much, so I just added some sequins and some Kesi Art stickers to the circle. So are you a lover of sketched like I am? I so hop over the Challenge YOUrself blog and join us. 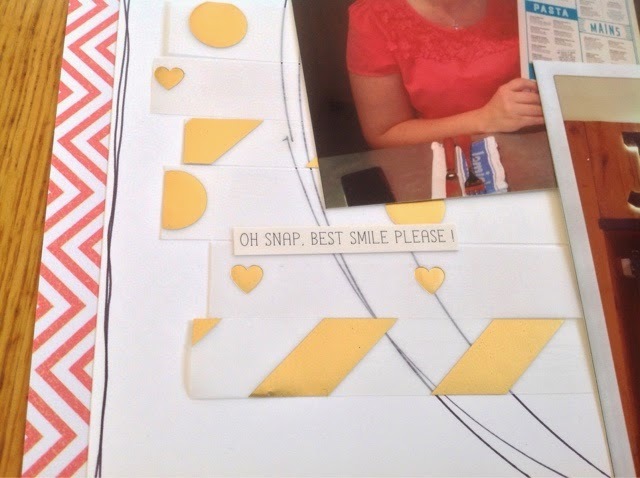 A fab layout - I love the strips of vellum with gold. 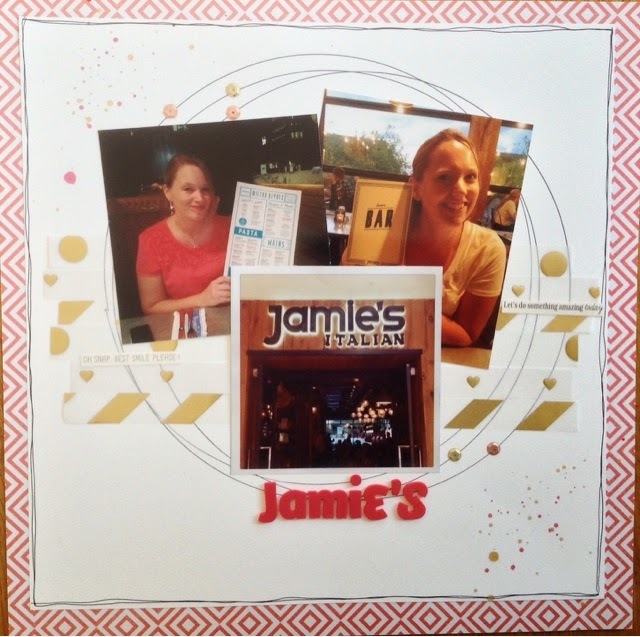 Still need to get to a Jamie's myself! Wonderful! I love that you raided your stash and the vellum is such a nice, subtle touch.